Patients who are hoping to improve the look of their teeth through teeth whitening treatments should bear in mind that store-bought products are a no-go. Although certain options actually deliver results, know that it usually becomes apparent after multiple uses. The convenience and cost-effectivity it boasts against in-office whitening are defeated. The numerous applications of the product alone remove the ‘convenience’ and ‘low cost’ in the long run after adding up the total purchase. At Plantation Dental Care, we encourage our patients to consider getting a professional teeth whitening treatment which is sure to provide immediate results, even in just one sitting! That is thanks to Zoom! Whitening System. To know more about the process, here is a list of common questions and their corresponding answers. It is a whitening system that uses gel that contains a certain amount of whitening agent (hydrogen peroxide). Unlike over the counter products, this alternative can whiten both the dentin and enamel. Dentists would take measures by shielding the gums beforehand to prevent its exposure to the whitening gel. Not following this step can lead to discomfort due to gum irritation. Since their comfort is secured, patients can just relax by watching TV or listening to music. The whole process, including the placement of gum protection, would roughly last for 90 minutes. But the application of whitening solution alone would only take 45 minutes. The dentist would check the patient’s record as well as their teeth’s current state. Before starting the procedure, it is usually advised for them to undergo teeth cleaning for the dentist to know the exact shade of the teeth. The effects of Zoom! Whitening is supposed to last for one to two years, but it will hugely depend on the ability of a patient to observe proper oral practices and diet. It is common for patients to experience some forms of discomfort with any whitening option during and after the treatment. With Zoom!, the usual cause is the minimal heat that the light use to accelerate the whitening process. But to minimize the discomfort due to sensitivity, the dentist may apply a desensitizing toothpaste afterward. Give your smile a boost! 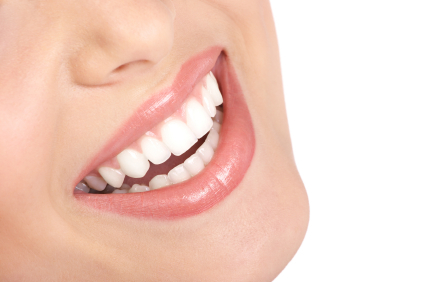 Book an appointment with Plantation Dental Care and check out our Zoom! Whitening service in Plantation, FL! We are located at 6971 West Sunrise Blvd., #101, Plantation, FL 33313.